Wherever there are e-liquids, there is usually nicotine. A must-have for many, it’s certainly not a one strength fits all product. And that’s why here at DV we offer a full variety of e-liquids with nicotine, from 0.3% all the way up to the legal limit of 1.8%. 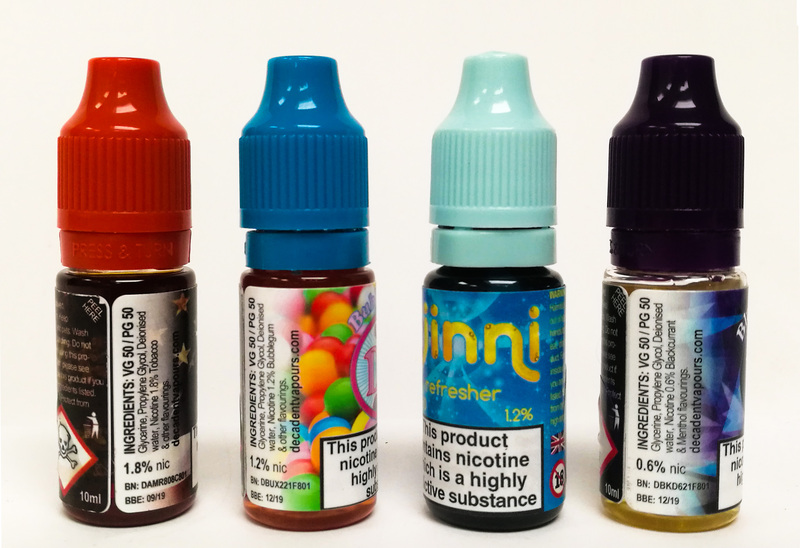 We also offer our nicotine boosts, to allow mix yourself enthusiasts to buy nicotine separately, in order to mix to their own exacting specification. As with all of our ingredients, our nicotine is carefully sourced and goes through our special filtration and titration process, to allow for the smoothest flavour possible. How does nicotine change my e-liquid? Nicotine can change your vaping experience in a number of ways. Firstly, the higher the nicotine strength, the stronger the throat hit. For those who have recently stopped smoking or are duel using, a sufficient throat hit can help to simulate the feel of traditional tobacco. Nicotine will also affect the flavour of an e-liquid, the less nicotine is included, the smoother the flavour will be, especially with high powered devices. Recommended nicotine strengths for smokers or recent switchers. There is no exact science when it comes to this, each individual is different. However, starting with a medium strength often helps smokers to make the switch. Over time, many reduce their strength after switching to vaping full-time. Mouth-to-lung devices due to their lower wattage and smaller tanks, allow vapers to choose a higher strength of nicotine, without becoming overwhelmed. A device such as our Rolo Badge starter kit will allow most users to happily vape a 1.2% e-liquid. Where with a more powerful device such as the SMOK V-Fin kit will have the same mouth feel and throat hit when using just vaping with a 0.6% strength.